These big fat cushions are made from a vintage Mossi indigo shawl with a long fringe. The fringe has been used to make tassels which also have Nagaland ( from conch shells) beads. 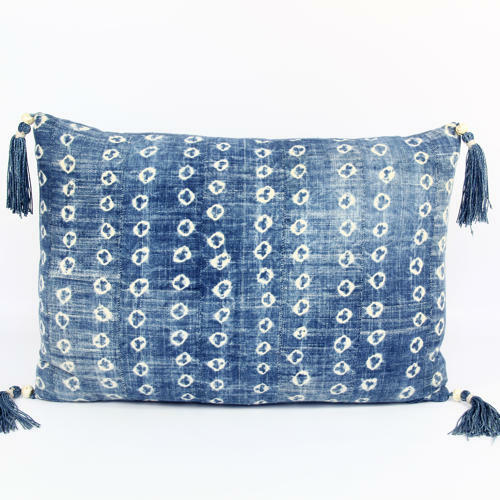 The cushions are backed with indigo dyed cotton from an Asian quilt, have zip closure and feather pads. There are 2 available with tassels and two without.